The introduction of chatbots has been the catalyst for many brands on their endeavour to personalise experiences for audiences, but for business travellers in particular it’s the dawn of something entirely new – something entirely better. And if this comes as news to you, perhaps it’s time you met Sam:] – the AI pocket travel assistant. 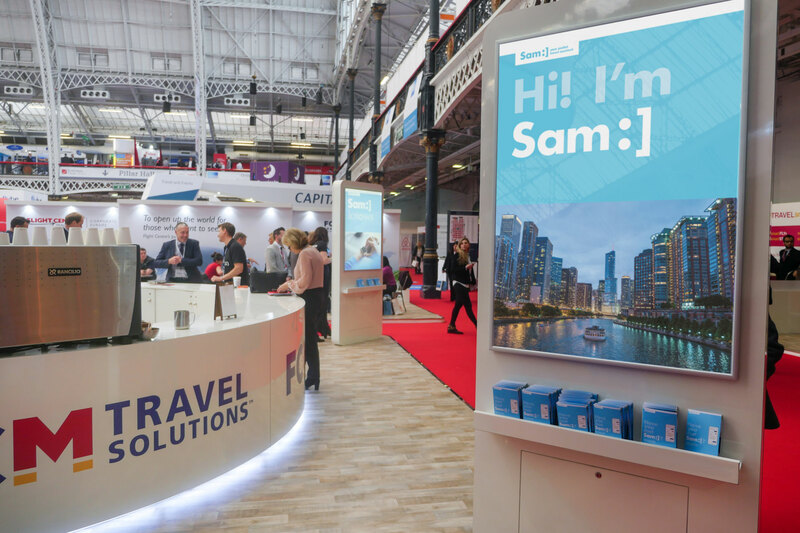 Sam:] is the ‘Smart Assistant for Mobile’ created by leading travel management company FCM Travel Solutions’, with strategic brand advisory from central London consultancy Underscore. 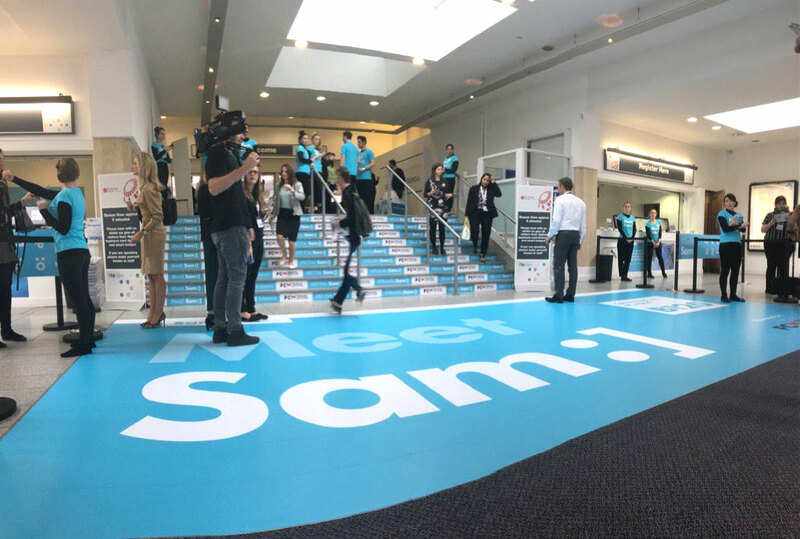 Sam:] allows corporate travellers to enjoy a seamless end-to-end experience across all aspects of travel via a conversational interface to answer questions, anticipate needs, make recommendations and perform actions. As a highly interactive and travel-savvy creation, Sam:] picks up on cues, such as travel patterns and preferences and updates travellers accordingly: the more a traveller uses Sam:], the more intelligent the chatbot becomes, so that information delivered to the user is even more personalised. “Thanks to the Artificial Intelligence engine developed by the FCM Lab tech team in Barcelona, Sam:] is a true travel companion that will only become more useful by learning about individual travellers. As the functionality grows in relevance, we’ve ensured the brand will stand the test of time by choosing not to assign a gender to Sam:] as some brands such as Amazon’s Alexa have chosen to. Gender fluidity is important in the new age of branding, so essentially Sam:] is whoever you want Sam:] to be.” Ms Bradley said. This was created by and for a new age of corporate travel, particularly influenced by the growing influence of millennial travellers, who will be empowered by managing more of their own experience through the help of AI. The new branding launched at the Business Travel Show at London Olympia on Feb 22 and 23, with over 7700 professionals attending and 270 business travel exhibitors including airlines, accommodation providers, ground transportation, technology providers and TMCs. The day was an incredible success, with Olympia awash with blue and enquiries doubling on the year before.